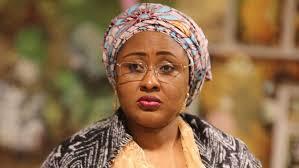 Wife of the President Mrs Aisha Buhari says she shares in the sorrow and agony of parents of all abducted girls in the country. Mrs Buhari said that she shared the agony of especially parents of the abducted Chibok and Dapchi school girls. She expressed the concern in Abuja on Thursday while delivering a speech she titled: “Leave Our Daughters Alone’’, to mark the 2018 International Women`s Day. “As a mother, I share (in) the sorrow and agony which the parents are going through up to this moment. “I am aware of the efforts being made for the release of the remaining Chibok girls as well as the recently (abducted) Dapchi girls. The wife of the President said that the abductions had further exposed the long-standing evil perpetrated against women in the society. She, therefore, called on relevant stakeholders, especially the media, to stand against the “disturbing issue’’. She, therefore, called on Nigerians, especially the media to join the campaign against all forms of abduction and maltreatment of the Nigerian woman. Mrs Buhari said it was unfortunate that celebration of the 2018 International women`s day came with pains and agony following the abduction of the Dapchi School girls. She also expressed concern over the use of young girls by insurgents to carry out suicide bombing. She, however, congratulated Nigerian women for successfully marking the Day and prayed for greater opportunities for the Nigerian woman. The wife of the president also prayed for Nigerian women to have equal opportunities in governance as their male counterparts. In her remark, the wife of Vice-President, Mrs Dolapo Osinbajo, said the 2018 event came in a very happy and worst situation considering the progress made by Nigerian team at the winter Olympic as well as the abduction of the Dapchi girls. Mrs Osinbajo also called for equal opportunity to the women. The News Agency of Nigeria (NAN) reports that the United Nations set aside March 8, of every year to mark the International women`s day. The event was organised by the National Centre for Women Development in collaboration with the wife of the President.